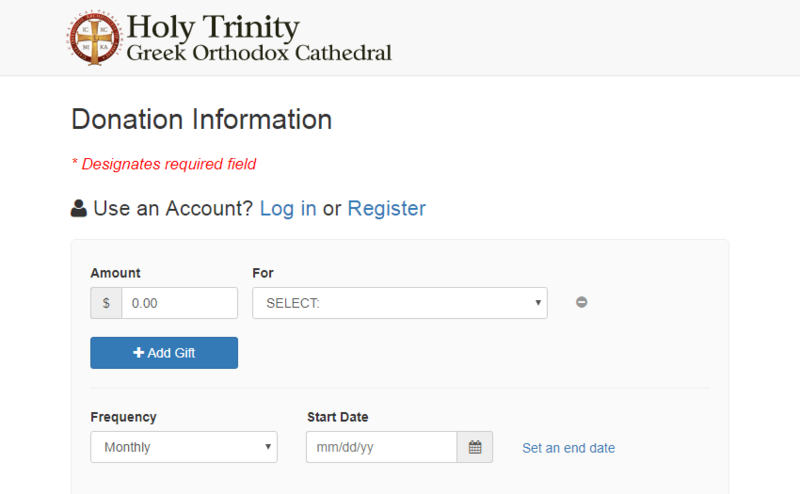 Holy Trinity now offers a simple way to make a one-time gift or make monthly contributions for stewardship. Online Giving (by Bluefire) allows you to make contributions without writing checks or worrying about cash. Make a single donation or set up automatic contributions and put your stewardship on auto-pilot. First time users, click on Register to set up an account. If you’re already registered, you can click Log in to review your online contributions and make changes to your account.